Mediterranean-style homes are all about creating space to focus on the fine things in life—like dining and spending time with friends and family. They generally have a raw, rustic spirit and lots in common with the earthy, industrial look that's so popular at the moment. 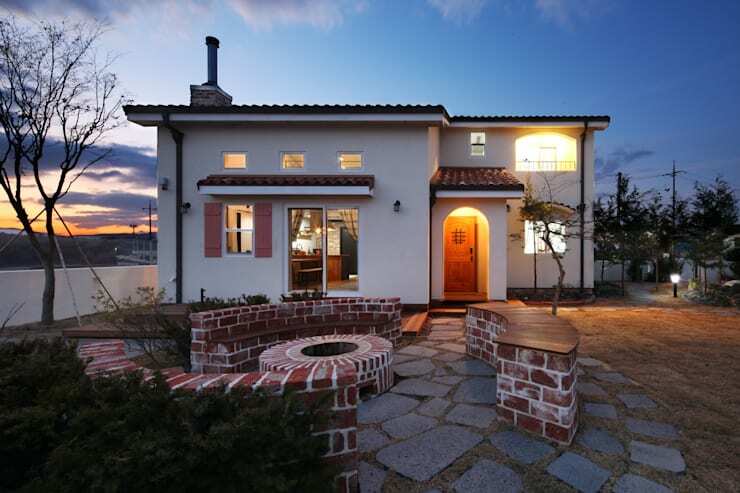 The front facade is dominated by a unique circular barbecue area or outdoor entertaining area. Circular designs are perfect for social spaces because they allow everyone to enjoy eye contact at equidistance. This design is also good because both the barbecue and seating area are both created with a red brick. It creates some cohesion to the design. Finally, note the large variety of windows on display. The wooden shutters also add some cosy interest. Inside, the main living/kitchen area is simply divided into three broad areas. The vast wooden dining table on the left joins the kitchen countertop which greatly simplifies the design. But the most appealing element here is the exposed brick. It creates a classic, warm and earthy look that's so important in any family home. 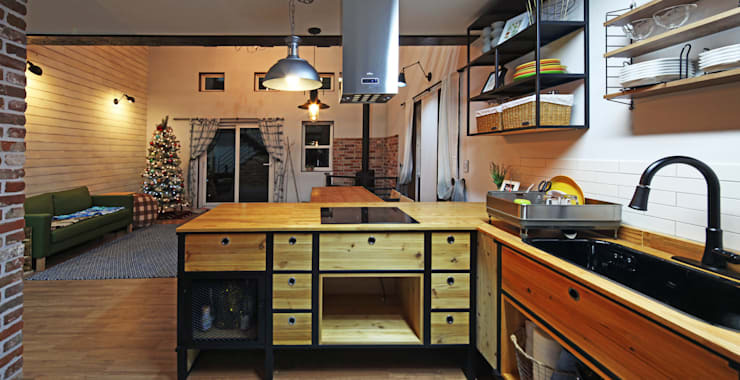 The wooden kitchen has somewhat unusual kitchen cupboards. They have been created with a combination of black iron and wood. This, together with the steel light fittings definitely places this within the industrial style. Note the extra wide kitchen sink. It makes this kitchen feel like an extremely functional and easy to use room. 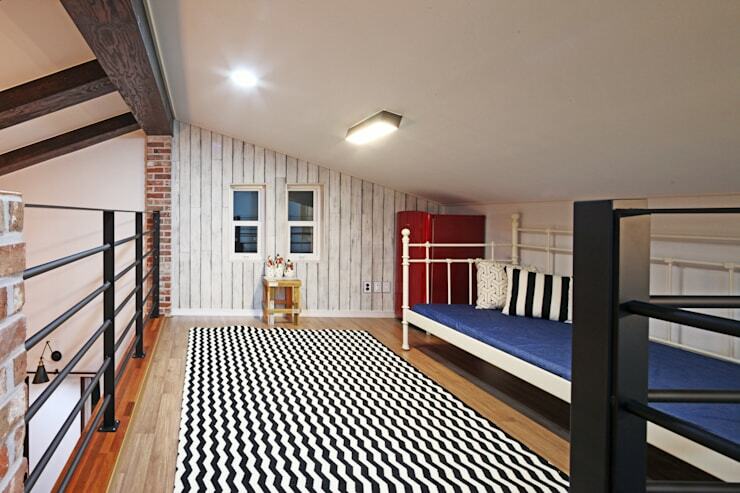 The mezzanine/loft style bedroom here would certainly be a favourite with children. Warm cosy homes always have lots of different natural textures, so here we also have the addition of a wooden feature wall painted white. The sloping ceiling also adds another cosy touch to the room. 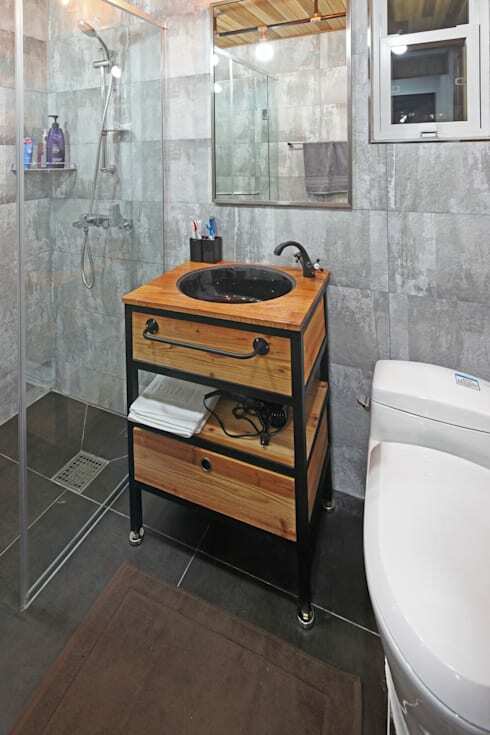 Modern bathrooms often have a slick advantage over classic rustic bathrooms. But here we can see how the two styles can be combined. There may be a modern transparent shower room. But there is also a little vanity made from a classic combination of iron and wood. Finally, note how the grey stone wall tiles serve as a good meeting point within the two styles. 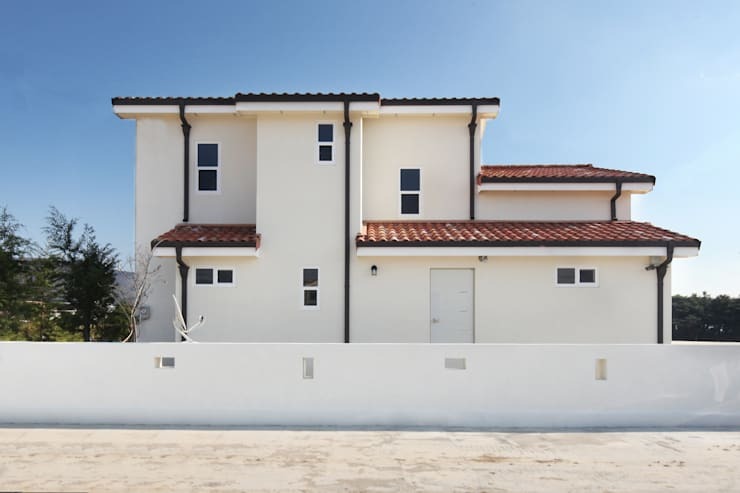 For our final picture, we'll have a look at the modern Korean-style rear facade. It has a sublime minimalism that really draws attention to the shapes of the windows. They are small, varying and create an attractive combination of shapes. We have another fabulous rustic home you really need to see! Check out The dreamy timber home you'll wish was yours.